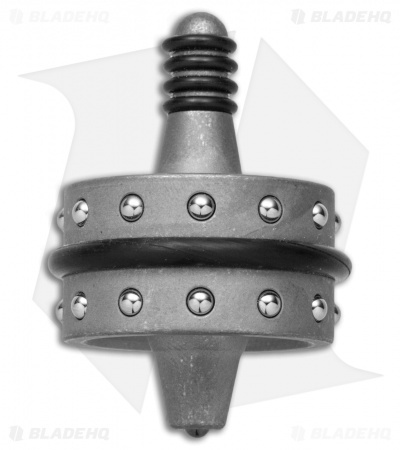 This Inception spinning top features a Battle-Worn Blasted finish. 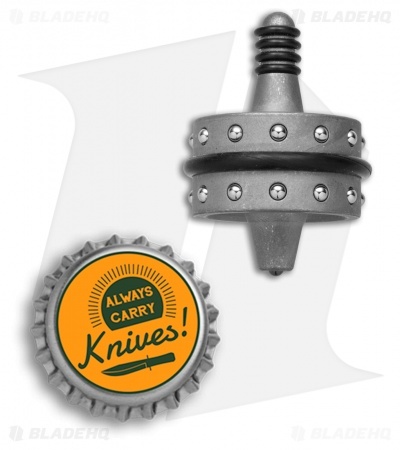 The Inception is a hefty spinning top brought to you by Heretic Knives. 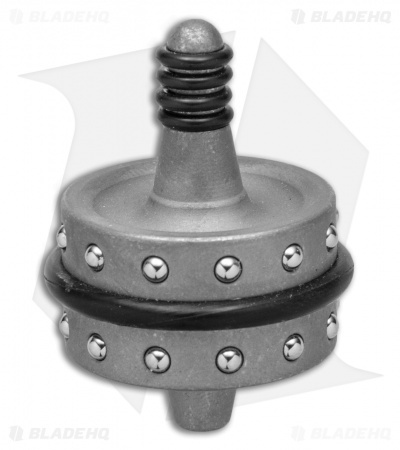 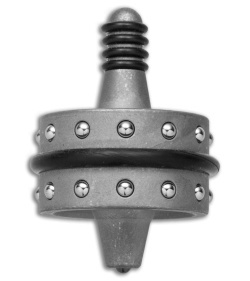 This stainless steel top has 24 ball bearings built into the body, and sports a large bumper o-ring around its middle. Four grip o-rings have been added to ensure each spin is at its full potential. The Inception rides on a silicon nitride ball bearing for reduced friction and boundless entertainment.